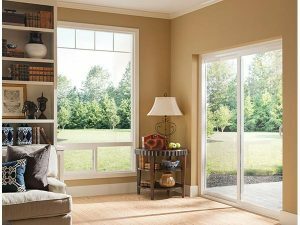 Whether you’re doing a full home remodel, new construction, or replacement, we have windows and doors in shapes and styles that can be used in combinations to improve the beauty, comfort and energy efficiency of your home. Milgard® windows & doors products stand up while standing out. Milgard offers award-winning windows and doors to fit your climate with hardware that blends form and function. We are proud of the products we deliver. By producing our vinyl and fiberglass frame materials in-house, we can more closely monitor for quality control. Every window component, from hardware to window glass, is developed from hours of testing and attention to detail. Through our precision, we offer windows and doors that are built for long-lasting comfort. Industry experts have consistently recognized Milgard as a trusted brand. We have been named “Best Quality Vinyl in the Nation” eight times and “Most Used Vinyl Window” five times by BUILDER magazine. 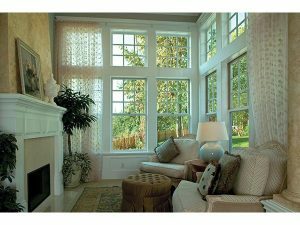 We have been named “Most Preferred Vinyl Window” three times by both Professional Remodeler and Professional Builder. View more of our most recent news. Choose a window and door that’s a reflection of you. We understand that the motivation behind many window projects is the desire to improve the look and feel of the home. For every consideration, we have a product line designed to highlight beauty that is a reflection of your vision. Our Style Line series complements contemporary architecture with slim profile and sleek lines. Tuscany® Series offers equal sight lines and a frame shape that creates shadow lines for a more traditional effect. Explore examples of how to match your home’s architectural style with windows and doors. Not sure what to choose? We will find the window for your needs with our Help Me Choose tool. If You Have Questions, We Have the Answers. Call and Talk to One of Our Window Experts or Request Milgard’s Product Information!